Singer/songwriter/guitarist Cody Cannon recruited six of his mates from Palestine, Texas, which eventually became his bandmates for the band Whiskey Myers. Cannon, Cody Tate, John Jeffers, Jeff Hogg, and Gary Brown are now the current line-up of this band, reputed for their raucous fusion of Red Dirt country, grunge, and rock ballads. In between their energy-driven, foot-stomping live shows, they have recorded albums like Road of Life, in 2008, followed by Firewater in 2011, then Early Morning Shakes as their third album. Their most popular singles "Ballad of a Southern Man" Virginia," "Home" and "Dogwood," brought them several country music chart-top-placers. Their expanding set of followers are growing into massive numbers that would turn this event into one big celebration. 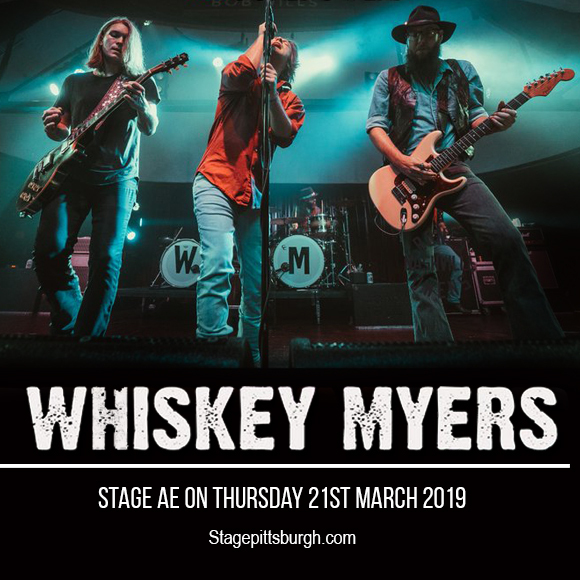 Get your tickets so you don't miss out as Whiskey Myers roll out barrels of fun and say cheers to their intoxicatingly great music.